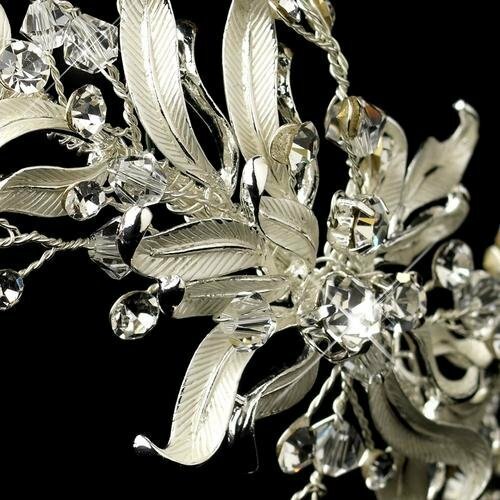 A glamorous side accented floral headpiece with white painted leaves and sprigs of clear rhinestones make up this eye catching design. 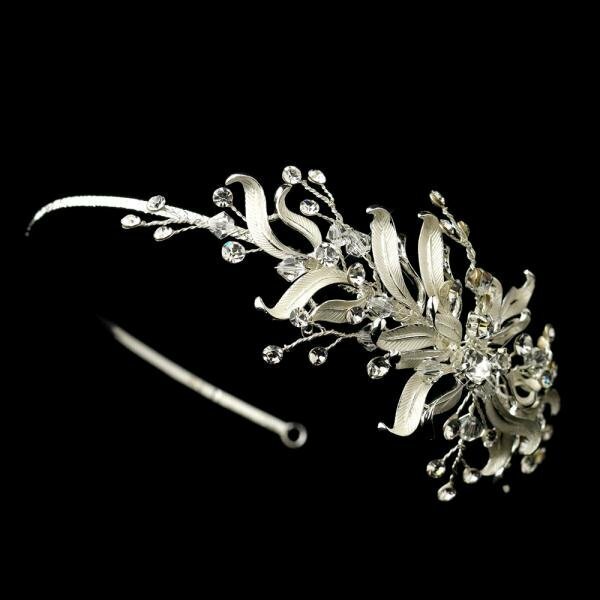 A stunning bridal headpiece that will make any bride shine. Size: 16 cm x 5 cm.